It was on 11 August 2017 that it all started. Reports of a missing submarine off the coast of Copenhagen began filtering through the Danish news. It belonged to inventor and rocket enthusiast Peter Madsen. Then it appeared. Then it sank. Madsen was rescued. And then … all hell broke loose as a story of suspense, debauchery, grizzly murder and justice went around the world. But actually, Kim Wall’s worst nightmare had begun the day before – a year ago today. It transpired the Swedish journalist had embarked on a voyage with Madsen on his submarine UC3 Nautilus that day as part of a story she was working on, and she then failed to return to shore as scheduled. Her fiancé called the police and the search was on. But Wall would never be seen alive again. After a long and much-publicised trial, which saw press from across the planet flock to Copenhagen to follow the courtroom proceedings, Madsen was eventually sentenced to life in prison for Wall’s murder. He has appealed that ruling and a decision will be made next month. Today, a year on from Wall’s tragic death, in cities across the world – from Copenhagen and Istanbul, to San Francisco and Beijing – people are lacing up their running shoes in the name of the slain journalist. 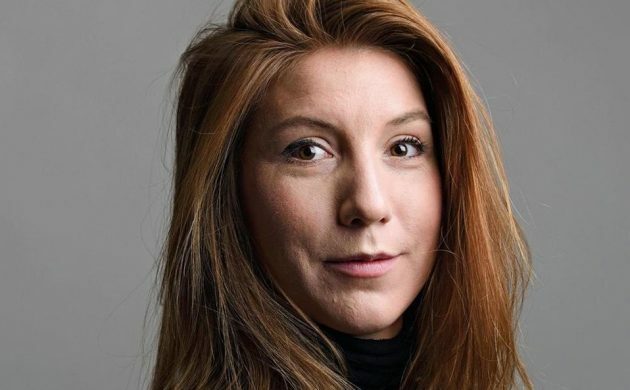 The ‘Run for Kim’ memorial run has been arranged in 15 cities and donations from those taking part will go to the Kim Wall Memorial Fund, which was established to support female journalists across the world and to celebrate the journalists who are killed every year doing their jobs. In Copenhagen, the event will take place at the ramparts in Christianshavn at 17:00 and the 2.85km run (or walk) itself is expected to last a couple of hours. The meeting point is Christianshavn Square. Sign up by donating at least 10 US dollars at the GoFundMe page set up following Wall’s death. Read more here on the event’s Facebook page.